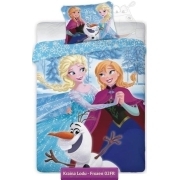 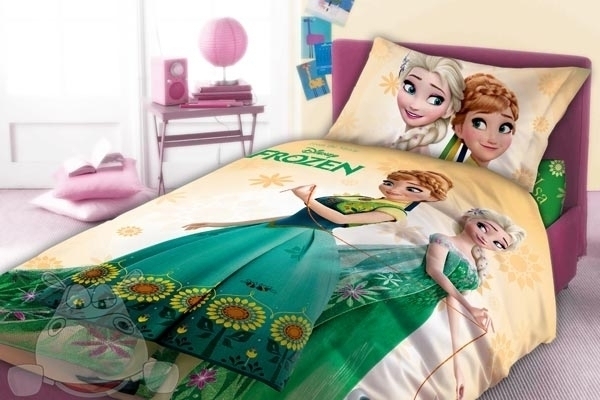 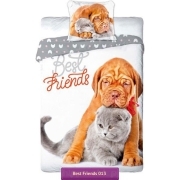 Bedding from Frozen Fever short with princess Anna and Queen Elsa and funny little snowmans. 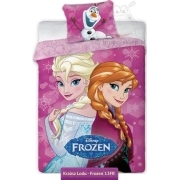 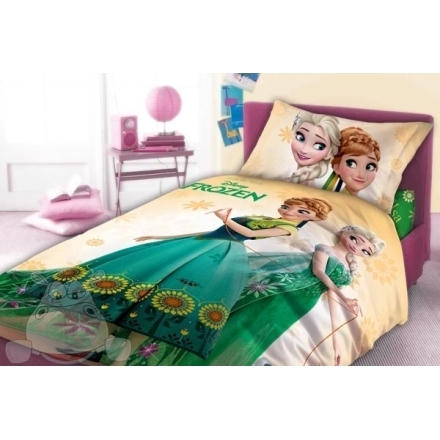 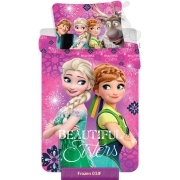 Girls bedding set Frozen Fever in green colors with duvet cover size 55x79 inches (140x200 cenitmetres) or 63x79 inches (160x200 cenitmetres) also 53x79 inches (135x200 cm) or 59x79 inches (150x200 cm) with one pillowcase size 28x31 inches (70x80 cm). 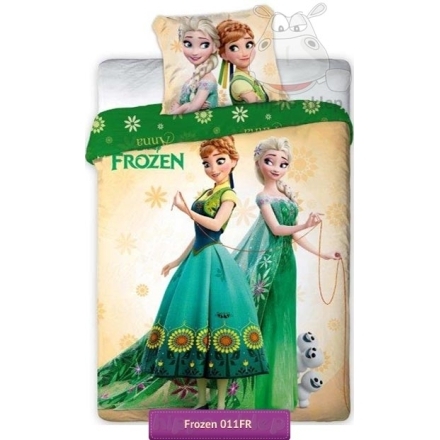 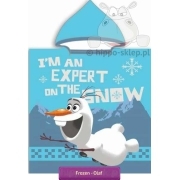 Kids bed set Frozen Fever with characters Anna and Elsa closing by zip, made of 100% cotton, certified according to Oeko Tex 100. 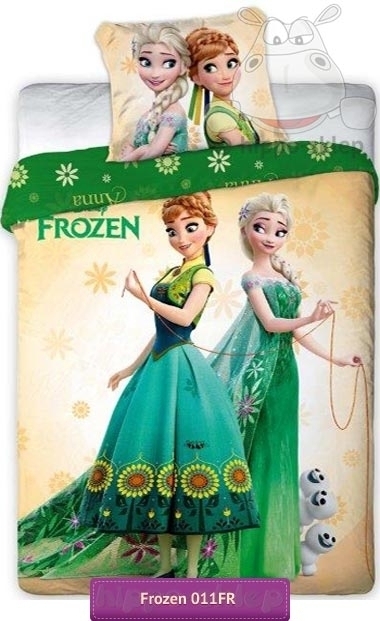 Best idea as a practice gift for any girls who like Elsa, Anna in a little bit different but beautiful colors in shade of green.